Todays post is something a littttle bit different. 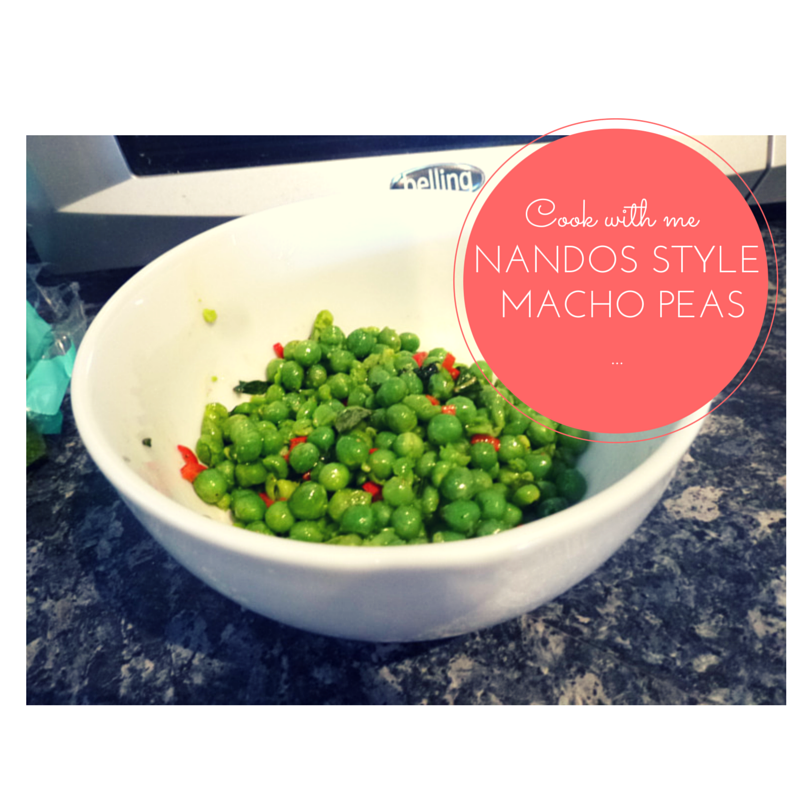 I have decided to do a little 'cook with me' post all about these amazing nandos style macho peas. Most of the people i know, and follow on social media are obsessed with nandos and i am definitely guilty of this also. 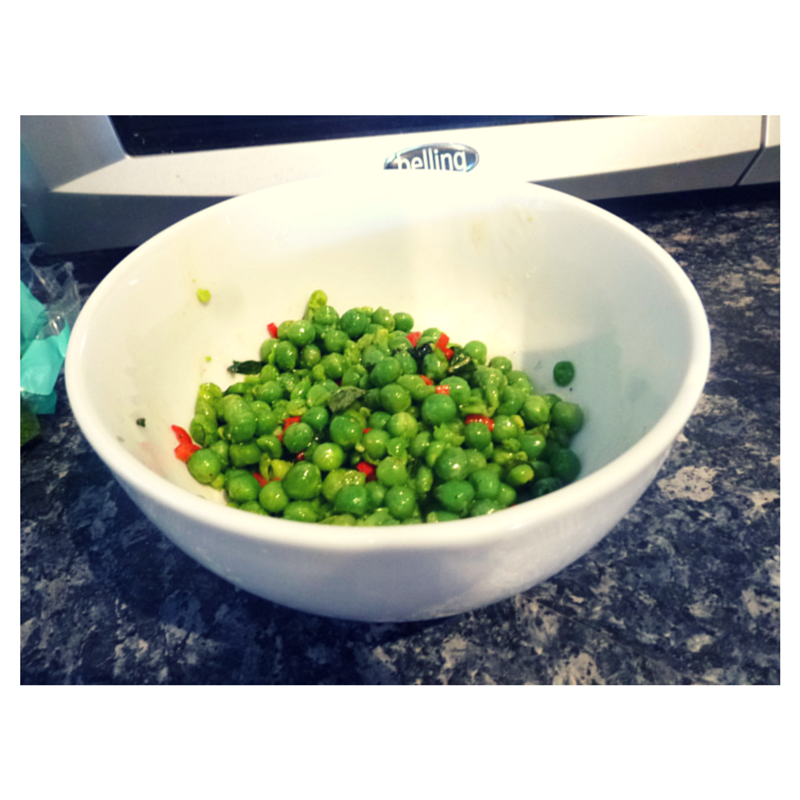 Therefore, I have decided to do a little post with some easy instructions about how to make these macho peas which taste exactly like the nandos ones! Add a piri piri chicken breast or a chicken burger and you could have your very own nandos at home, but muchhhh cheaper. 1. Depending on how many people you are cooking for, just use the average amount of peas and boil them in salty water. I just used frozen peas for this which is absolutely fine! 2. 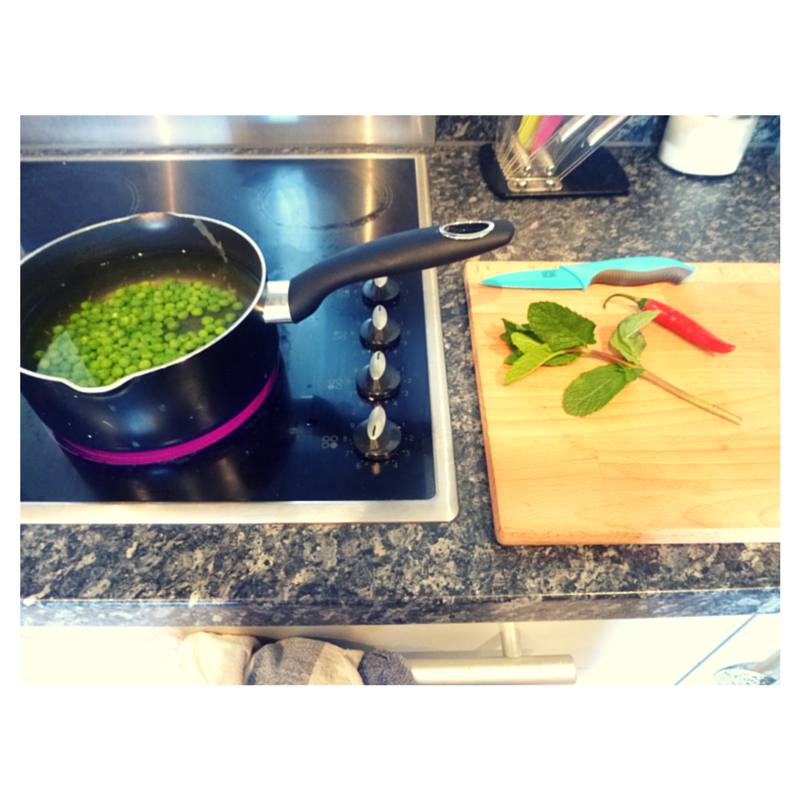 Whilst the peas are boiling prepare your mint and chilli. 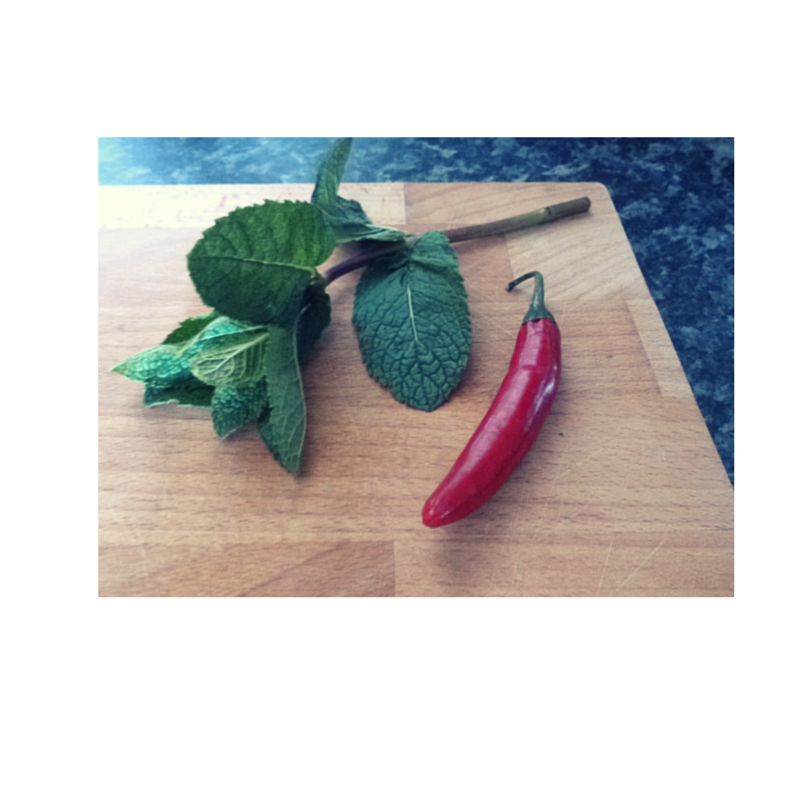 I used half a whole red chilli and 3-4 leaves of fresh mint and it created the perfect taste! 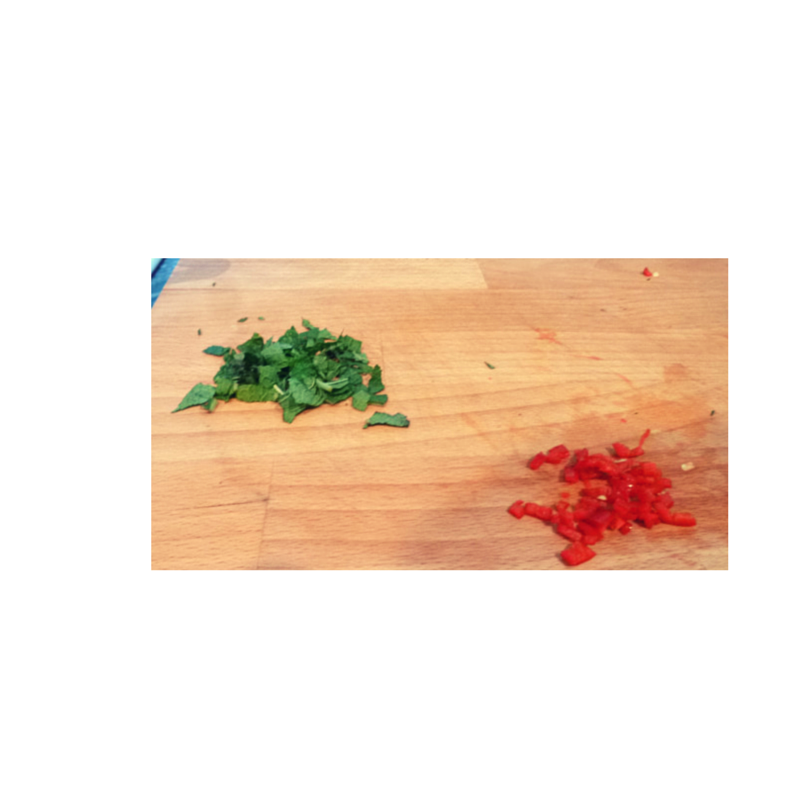 Chop both of these very thinly ready to add to your peas once they are ready. 3. Drain your peas once cooked and leave in the pan. Add some more salt (if you like salty food) and a little bit of ground pepper. 4. Add 2 tablespoons of butter to the peas in the pan. Followed by the chilli and mint. The heat from the pan should cook these items slightly and make the butter melt. 5. 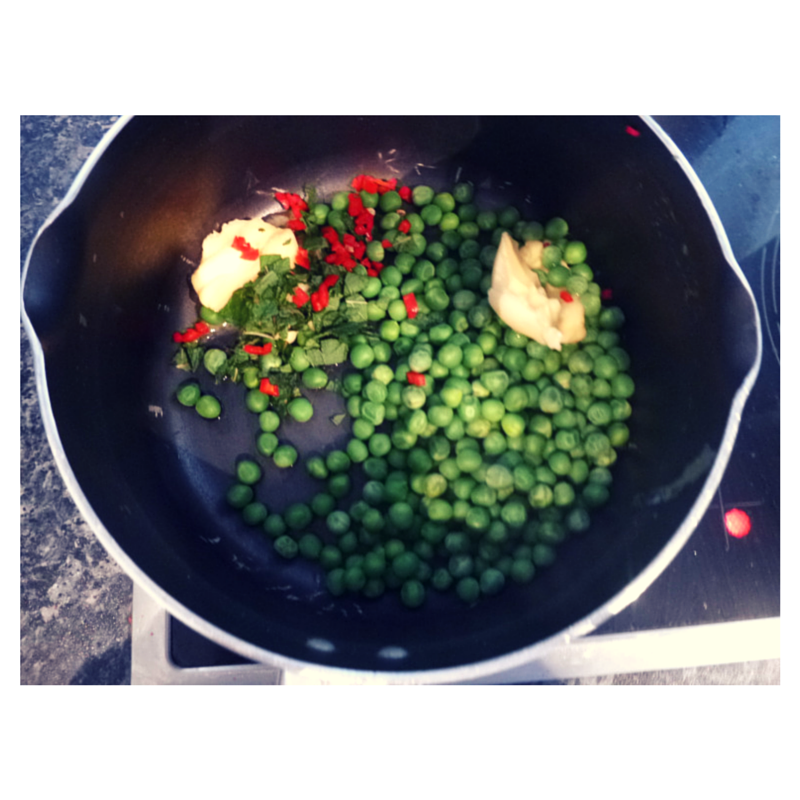 Mix the peas with the butter mint and chilli using a fork, and crush some of the peas while doing so. This is so that some of the peas are split and some remain round. Its upto you how much you want to mash your peas but i just mash them slightly. And there you go! Very easy recipe for macho peas!! These literally take a maximum of 10 minutes to make and really do make such a good side to lots of dishes!! 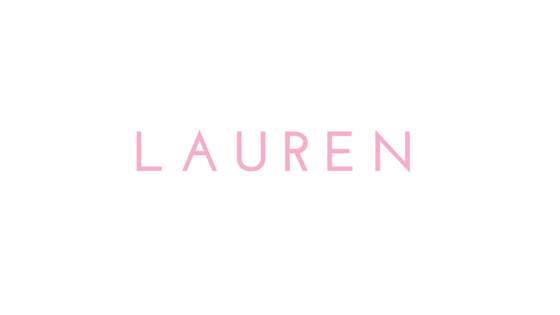 Let me know if you use this recipe and tag me in any of your instagram photos if you do decide to use it 'whatlaurenlovess'.